Montana State University is committed to maintaining a safe and healthful work environment for its faculty, staff and students. This manual contains procedures for reducing or eliminating accidental illness, injury, death or environmental damage that can result from the improper management and disposal of wastes produced by the University. This Disposal Guide has been developed to assist University personnel in the proper handling and disposal of chemicals, or chemical products in the laboratory and other University work areas. Although the guide was specifically written to outline procedures for chemical wastes, it also contains valuable information on many other types of wastes (i.e., radioactive, infectious, asbestos, PCB's, gas cylinders, empty containers, controlled drugs, and waste oils). Each person in a supervisory or management capacity is responsible for providing and maintaining proper waste management in his or her respective area and for ensuring that all authorized and applicable guidelines contained in this manual are followed. It is of prime importance that all supervisory personnel understand and accept this responsibility, and take an active role in working with faculty and staff to provide necessary training, and by setting an example for them to follow. 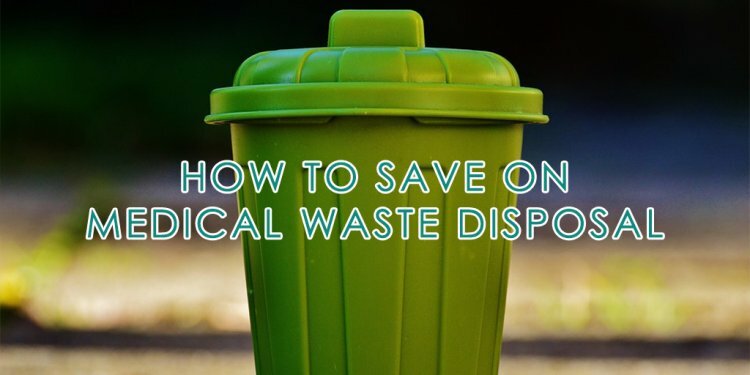 Ultimately, it is individual faculty and staff whom are responsible for implementing this Disposal Guide, so take personal responsibility for your area. Your attitude, knowledge, and actions will determine the success of our environmental programs. Increased public concern over environmental issues led to a major expansion of the federal and state environmental laws in past years. Aggressive enforcement of these laws by regulatory agencies has also increased. The numerous environmental laws enacted have been documented in thousands of pages of regulations, creating an extremely complex scheme. Despite this complexity, liability for noncompliance with environmental regulations is not limited to major or intentional offenses that cause significant harm to public health or the environment. In fact, sizable penalties have been imposed for relatively minor, inadvertent violations. Regulatory agencies and the courts assume that persons working with chemicals today are knowledgeable of the potential hazards involved with their work. Therefore, civil and criminal penalties can be imposed on institutions for non-compliance. Further, this liability can extend beyond the institution to individuals, based on the reasoning that all responsible personnel, from a lab instructor to a college president, share in the duty of ensuring compliance with the environmental laws. It is quite clear that the Montana State University and its employees need to meet the challenges posed by the environmental laws and regulations. This Disposal Guide contains the information that will enable University personnel to meet their responsibility for environmental compliance. This Chapter is designed to give users just the basics they need to know to manage Hazardous Wastes at Montana State University. It is for quick reference only and is by no means comprehensive. Users should read all the applicable portions of this Disposal Guide for full explanation of the waste disposal procedures at the University. Except for two areas controlled solely by the Safety & Risk Management division (SRM), all areas where hazardous waste is managed at Montana State University are considered satellite accumulation areas. This is a regulatory designation, which allows generators in these areas to operate under the minimum of regulatory oversight. As such, the following six points are all that generators need to know to operate in compliance with the law. It is critical that generators know and understand these points and that they manage their waste in accordance with them. The container holding the hazardous waste must be marked with the words "Hazardous Waste". No variation of these words is permissible. The container holding the hazardous waste must be in good condition. This means no cracks, no rust, and no leaks. The container contents must be labeled and identified by name. No variation of chemical names by using abbreviations or symbols is permissible. The container holding the hazardous waste must be compatible with the waste and any waste mixtures in that container must also be compatible. The container holding the hazardous waste must be closed at ALL TIMES. The only exception to this is when waste is being added to or removed from the container. Accumulation of hazardous waste in any satellite accumulation area cannot exceed 55 gallons at any time. If the area accumulates acutely hazardous waste, one quart is the maximum amount allowed to be accumulated. A list of the acutely hazardous wastes is available in Chapter 3 - CHEMICAL WASTE MANAGEMENT SYSTEM. Complete the Container Label on each of the hazardous waste containers provided by SRM. Use chemical names only. No trade names, chemical formulas or chemical structures are allowed. Containers with labels are available through SRM by calling 994-7803 or 994-3572.